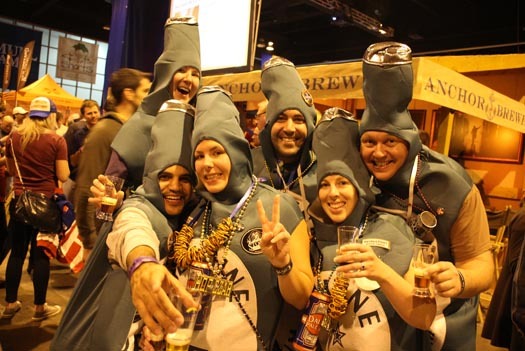 It’s been just over a week since we disconnected the taps, packed up our gear, and headed back to San Francisco following the 2013 Great American Beer Festival in Denver. As always, good times were had by all, and of course, plenty of beer was poured. 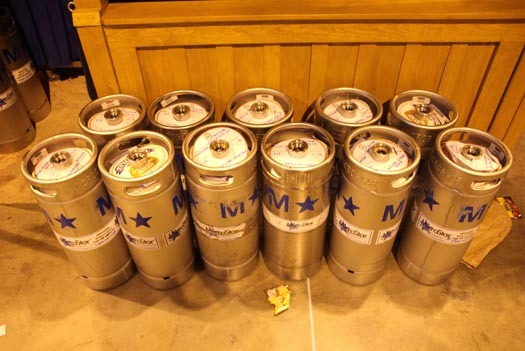 We thought it would be fun to take a look back at a few of the highlights from this year’s GABF. After completing the setup on Wednesday, it was time for session 1 Thursday evening. 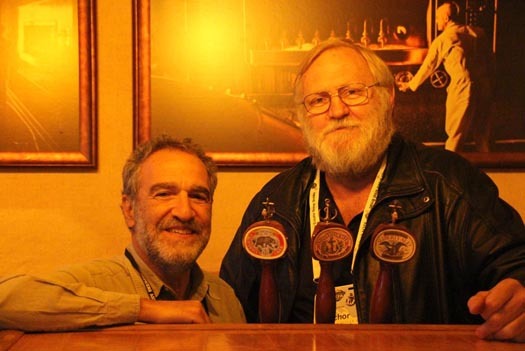 Before things got started, GABF founder Charlie Papazian stopped by the Anchor booth to enjoy an Anchor Steam Beer with our own Bob Brewer, a tradition that Bob says the two have enjoyed for many years. 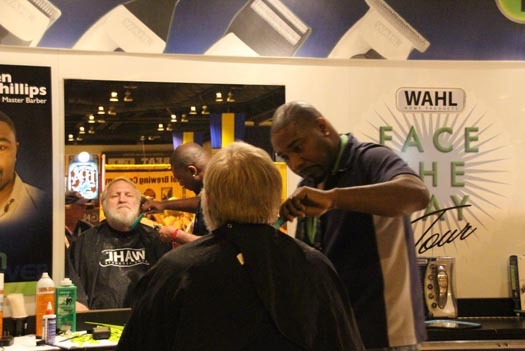 With a very high “beards per capita” ratio, it makes sense that the largest beer festival in America would offer complimentary beard trimming. Bob Brewer took advantage right away. 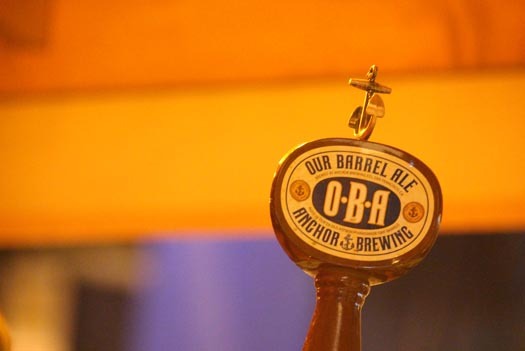 Always a crowd favorite, Our Barrel Ale (OBA) was part of the lineup that kicked off GABF 2013. 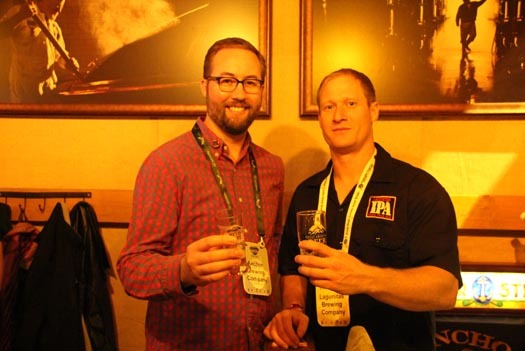 Read the full recap of Day 1 at GABF. The Friday session is typically a bit ‘livelier’ than Thursday, and this year was no different. The sellout crowd came thirsty, and we poured more than a few Anchor brews. 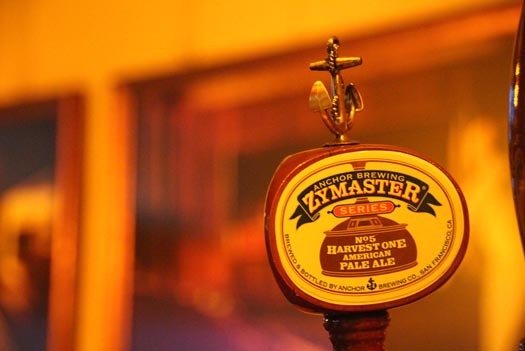 Those in attendance got a chance to enjoy a special preview of Zymaster Series No. 5: Harvest One American Pale Ale, coming soon to a fine establishment near you. 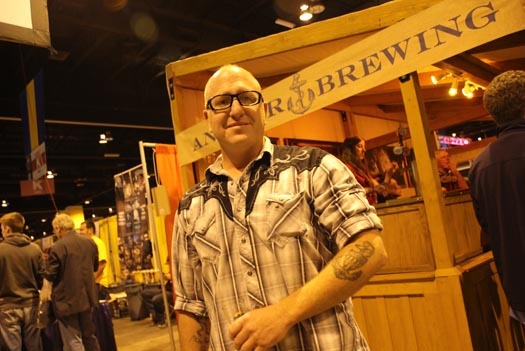 Read the full recap of Day 2 at GABF. Saturday is a full day at GABF. The day starts earlier, with the Members Session at noon, followed by session 4 at 5:30. 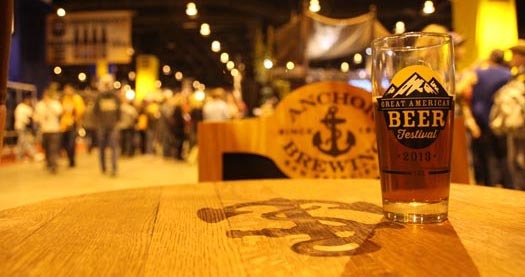 Two sessions in one day gives us twice as much time to say hello and share an Anchor brew with friends new and old. 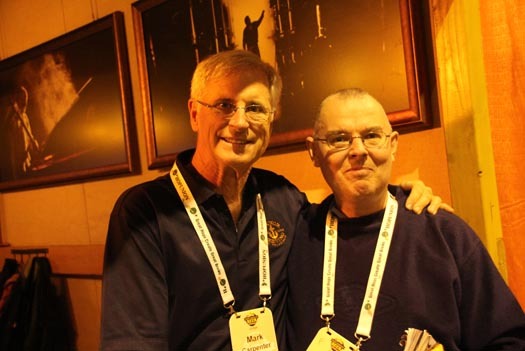 British beer writer Des de Moor stopped by to say hello to Anchor Brewmaster Mark Carpenter. 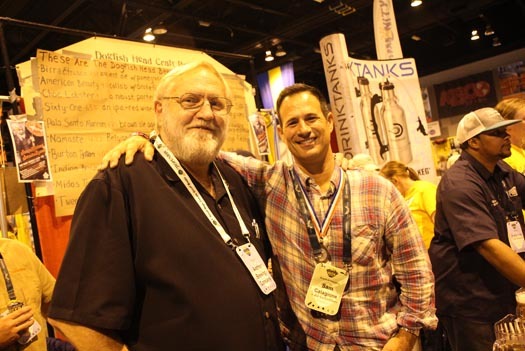 If you haven’t had a chance to read Des’ piece, “Anchor and the birth of craft beer,” check it out for some in-depth Anchor history and some great quotes from Mark. Ryder Morrison from Lagunitas Brewing Company stopped in to raise an Anchor with our own Jason McKibben. 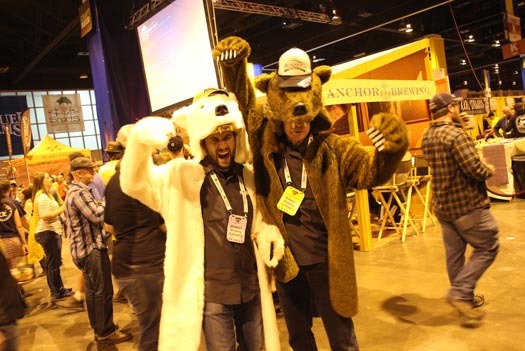 Even the rowdy bears from Alaskan Brewing growled hello. 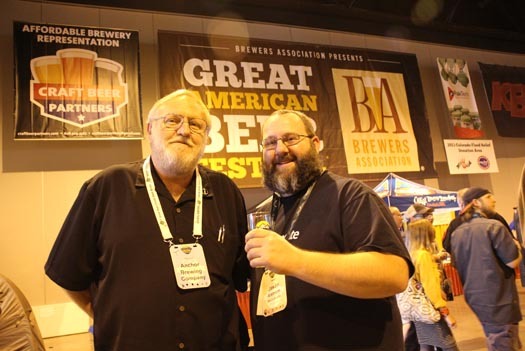 Bob Brewer knows a lot of people, and a walk around the exhibit hall with Bob during GABF can take a while. Industry colleagues and friends from around the country and beyond stop Bob to say hello, and usually offer to share a beer. Below are a few photos from a stroll through the Members Session on Saturday. 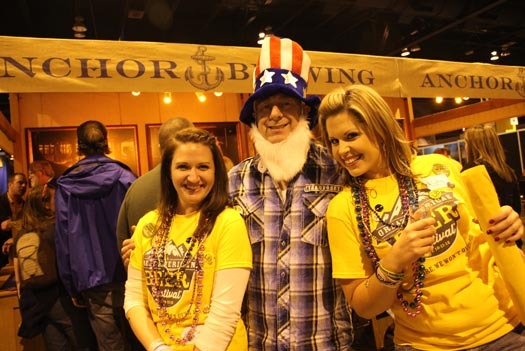 And of course, plenty of festive craft beer enthusiasts visited us to enjoy an Anchor brew (or two). 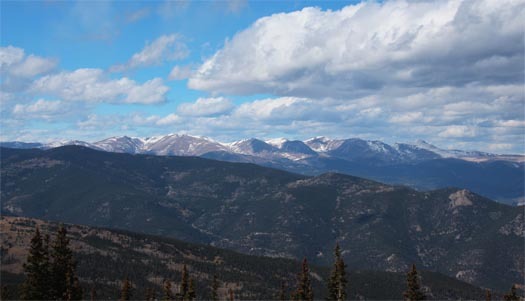 Before heading for home, a day trip into Colorado’s Rocky Mountains was in order. 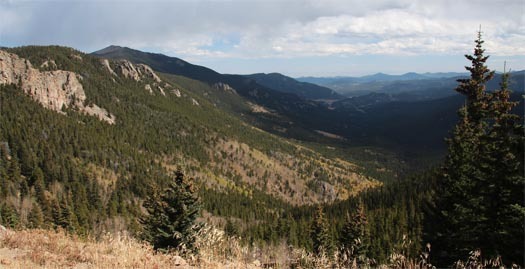 It was a beautiful way to cap off another great trip to Denver for GABF. 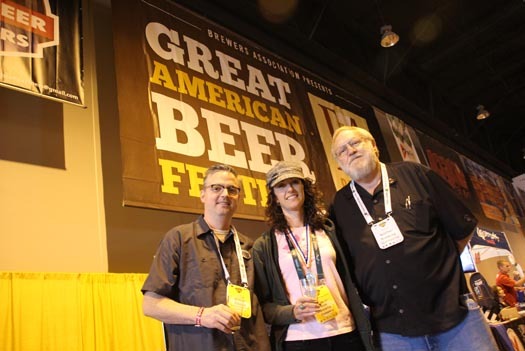 A BIG Anchor “Thank you!” to everyone who visited us during this year’s GABF. We’re already looking forward to 2014. See you next beer!